Home Professor Taylor in South Africa In 2007 Professor Taylor undertook a research trip to South Africa to examine all aspects of the criminal justice system response and innovative models of care delivery to child and adult victims of sexual violence. Here she is pictured with Captain Pensu from Cape Town in the ‘garden retreat’ police built as a place of calm and rest for victims attending their police unit. In 2007 Professor Taylor undertook a research trip to South Africa to examine all aspects of the criminal justice system response and innovative models of care delivery to child and adult victims of sexual violence. 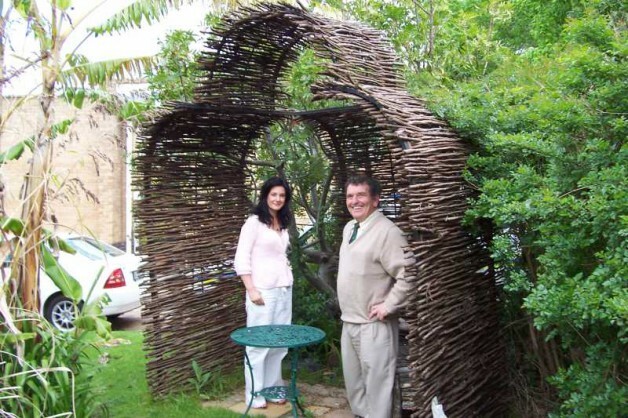 Here she is pictured with Captain Pensu from Cape Town in the ‘garden retreat’ police built as a place of calm and rest for victims attending their police unit.